Embroidery is an art form which is used for decorating apparel with a help of a needle and a thread or yarn. 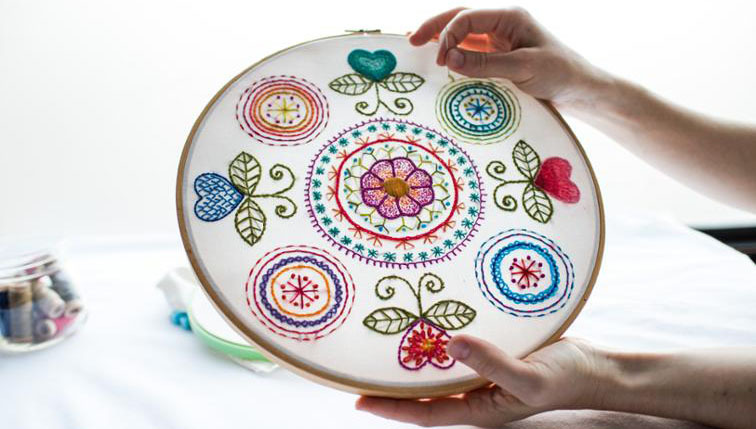 Hand embroidery is one of the creative and interesting crafts that you can easily do at home. It is believed that embroidery art has been originated from the Middle East. Hand embroidery has been enjoyed for many decades but instead of becoming old and boring it is now become very popular and one of the biggest trends! Due to the major developments in the technologies, advanced ways to create embroidery are introduced. As hand embroidery takes a lot of time to create easy designs, the use of digital machines for embroidery, saves time and money. A lot of people still like the basic traditional way of creating embroidery designs by hand rather than working with an advanced embroidery machine. As hand embroidery gives them complete control on creating their imaginative designs and while doing machine embroidery there are some limitations of the machine. Hand embroidery is comparatively harder to do than machine embroidery and it is really time consuming. Hand embroidery takes a large amount of patience and the mind of the artist should be creative, as the designer has the complete design in his mind and the designer has to show the magic in his fingers! 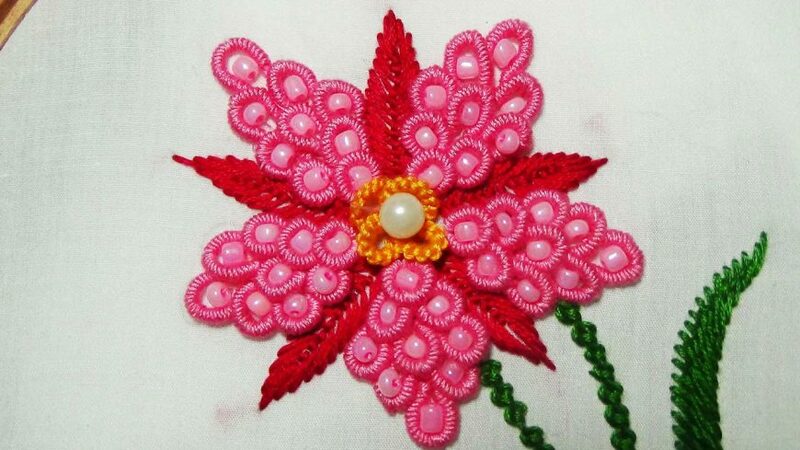 Doing hand embroidery is both fun and relaxing it gives you the confidence as they are only yours and designed by you. However, there are 15 types of hand embroidery stitches, they are really essential to know for any professional or beginner stitcher. That is, Backstitch, Straight stitch, Running stitch, Stem stitch, French knot, Satin stitch, Chain stitch, Split stitch, Feather stitch, Fly stitch, Detached chain stitch, Blanket stitch, Bullion knot, Couching stitch, and Woven wheel stitch and each of them is used to create a particular design. For any further quires and services, you can contact us right away! We’re here to satisfy your needs with our tremendous quality services with the quickest turnaround and with reasonable rates.